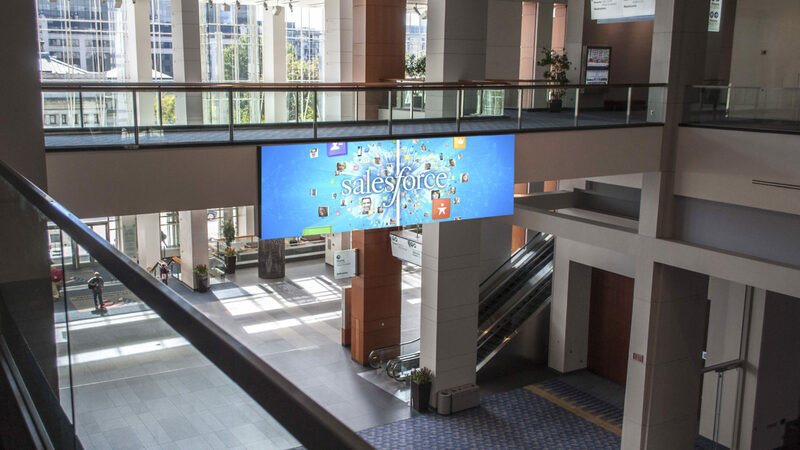 Looking to expand its marketing and advertising capabilities, the operators of the Walter E. Washington Convention Center in Washington, D.C., turned to Gable for its visual solutions expertise in 2015. Consistently ranked among the top convention centers in the United States since its opening in 2003, the Walter E. Washington Convention Center is a 2,300,000-square-foot convention center that is equipped to handle meetings or events for up to 42,000 attendees. The convention center is owned and operated by the city’s convention arm, Events DC. As part of a long-term plan to create a more enriching experience for clients and their attendees, Events DC looked to Gable for assistance with digital signage. With experience delivering similar visual solutions for convention centers including Cobo Center in Detroit and the Orange County Convention Center in Florida, Gable brought a wealth of expertise to the job. In 2016, Gable completed the installation of a new digital display that greets convention center visitors after they step inside the grand entrance off of New York Avenue. Mounted on a walkway, perched above crowds, the 6mm LED display measures 6.5-feet tall and 21 feet, 3 inches wide. Providing a complete solution, Gable designed and installed the display, and also provided operators the ability to control content remotely — providing Events DC the best opportunity to maximize the display’s potential. With its new LED display, the Walter E. Washington Convention Center is better equipped to capitalize on the pedestrian traffic it sees nearly every day through its grand entrance hall. 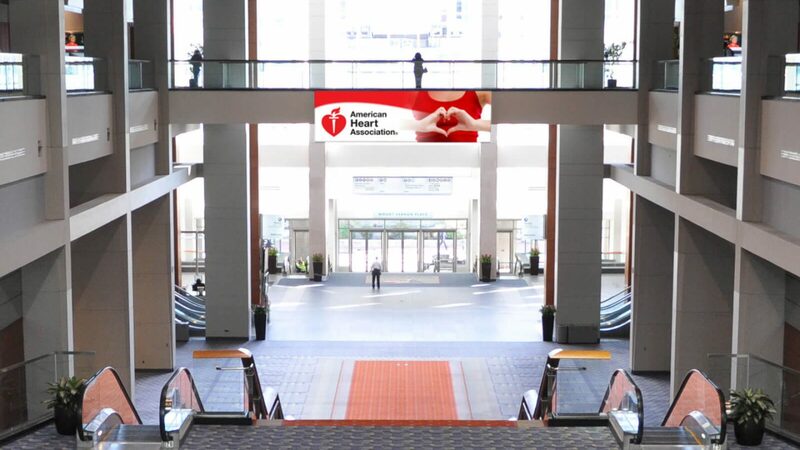 Perfect to display paid advertising or leveraged as an additional tool for meetings organizers to communicate with their attendees, the digital display offers a host of opportunities for the convention center’s operators. Additionally, Gable’s solutions allow operators the ease-of-use and flexibility to get the most out of the display. About Walter E. Washington Convention Center: The Walter E. Washington Convention Center is located in the heart of Washington, DC and is equipped to handle events of all sizes, from small groups and break-out meetings, to events with up to 42,000 attendees. Defined as one of the most energy-efficient buildings for its size, the Convention Center includes a range of mixed-use exhibit spaces, including 198,000 square-feet of flexible meeting space, 77 break-out rooms, and the largest ballroom in the Mid-Atlantic region. For more information, visit www.dcconvention.com.